Perhaps one of the most satisfying aspects of Locowise for agencies is the in-depth client reporting involved. While we may have attractive charts and graphs, that’s not the whole story. We also allow agencies to report on every single important aspect of social media. From reach to engagement, and everything in between, reporting is made more effective, and simply comprehensive. This is the engine of Locowise, our bread and butter. For example, measuring engagement is not something we take lightly. We drill down deep, providing you with your client’s full profile for engagement. 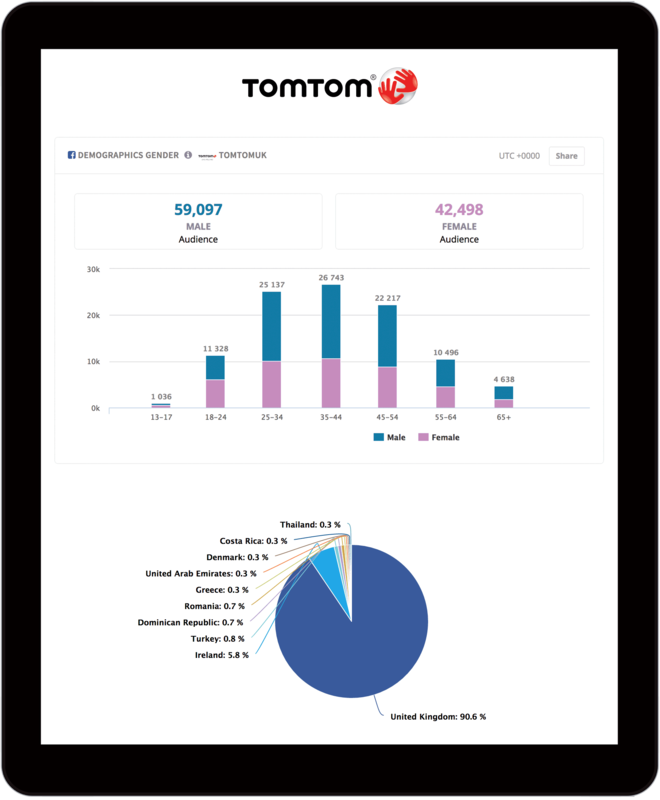 We provide you with data on paid and organic engagement so you can report back to your clients with confidence. 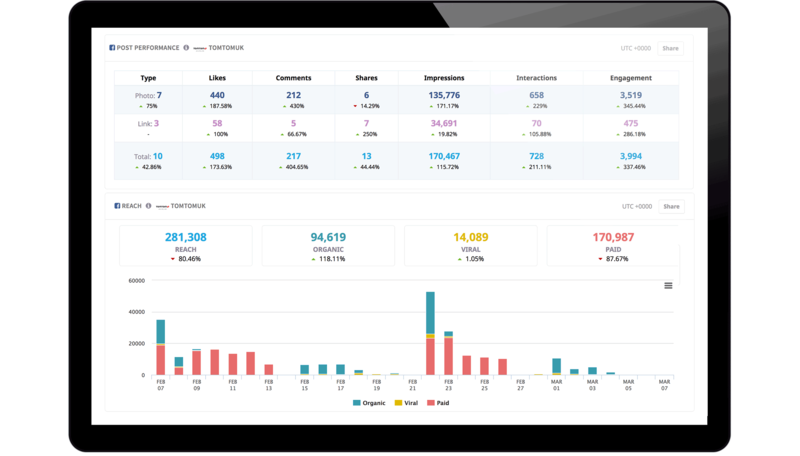 We also give full and comprehensive reports on engagement rate, so you know the picture over time. It all adds up to high quality, pin sharp reporting for your client. The beauty of Locowise is that you can quickly pull up a report on a client and see exactly what is going on with the social media profile. This means being able to identify the performance over time. This stuff matters. In fact, you can pull together a complete review of a single post, with a detailed breakdown on reach, engagement and performance overall. This is cross-platform too, so all the important social media networks are covered. If your client wants to know all there is to know about that series of posts you created last week, Locowise can deliver the goods. Once your basic overview of a profile is complete, you can then add even more value by dropping in other factors, such as ‘when to post’, and ‘optimal post format’. In other words, you can take a brand on social media and audit their performance to the nth degree. All our clients know that the brand reports we provide are second to none. 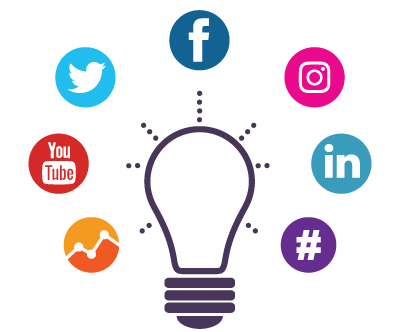 In a brand report, you have an immense amount of information that gives you all you need for informed, effective social media work. You can drill down deep, with over 300 individual metrics that give you the whole picture. Track a client’s brand across a whole campaign, or even a year. Differentiate between paid and organic reach and engagement. Make your next move with confidence. But if you want even more value, explore the parameters a little. You can pull up a report on a client’s social media channel, or channels if they’re spread far and wide. You can benchmark within the report so a client can see how they are doing compared to competitors. You can even run a side-by-side comparison so your client can see just how the work you’re doing is having an impact. This means that you can identify messages on social media that are designed to spread the brand message. And once you’ve found and tracked them, you can see how effective the brand voice is. And because you’re an agency, it’s also designed to help you pull together brand audits on social into one single report. This gives you full control, and the same level of insight for all your projects.